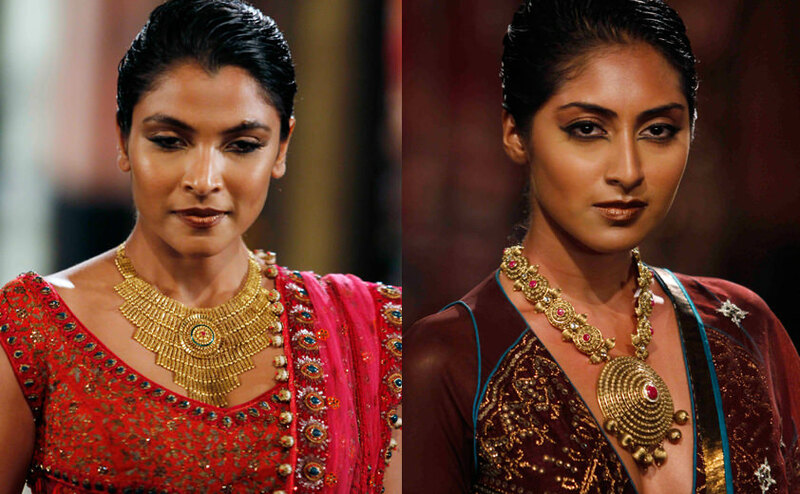 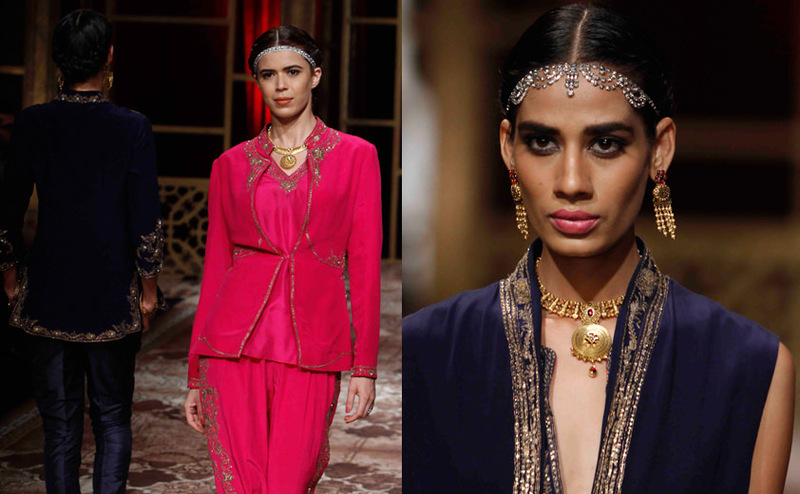 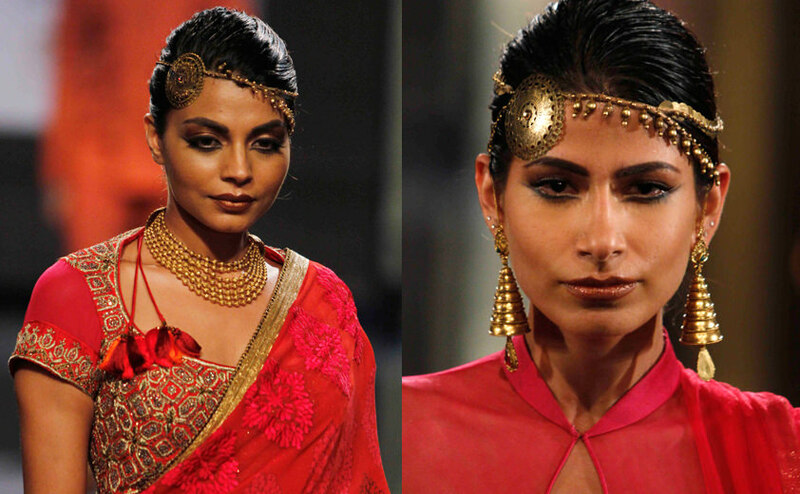 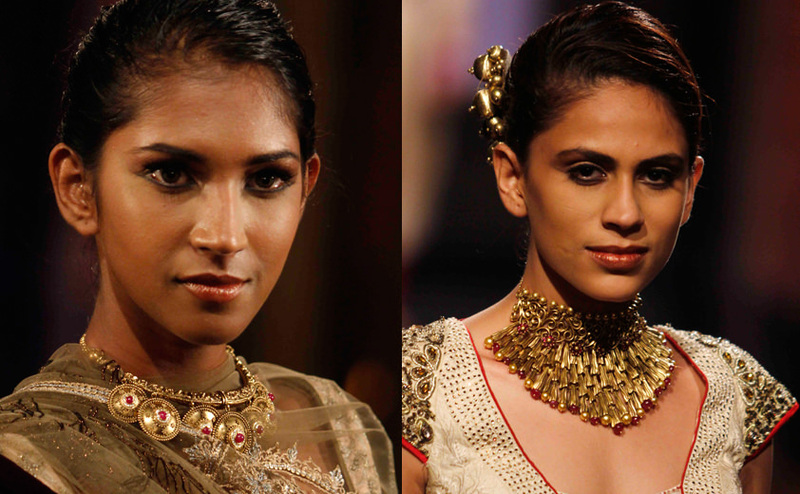 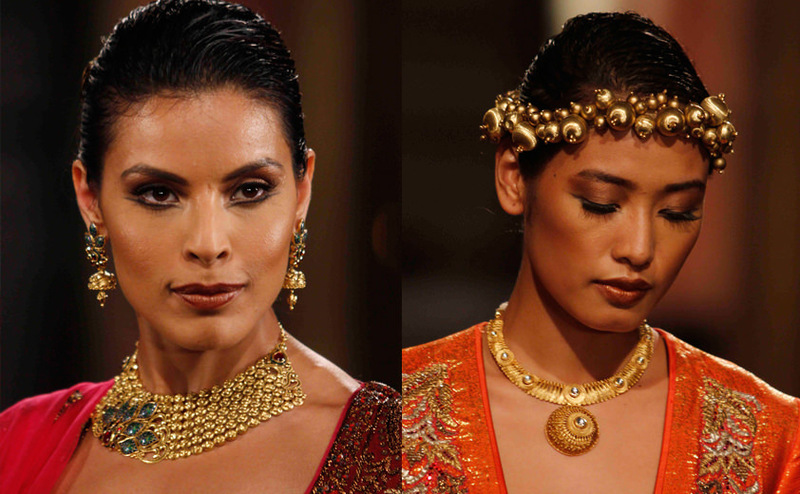 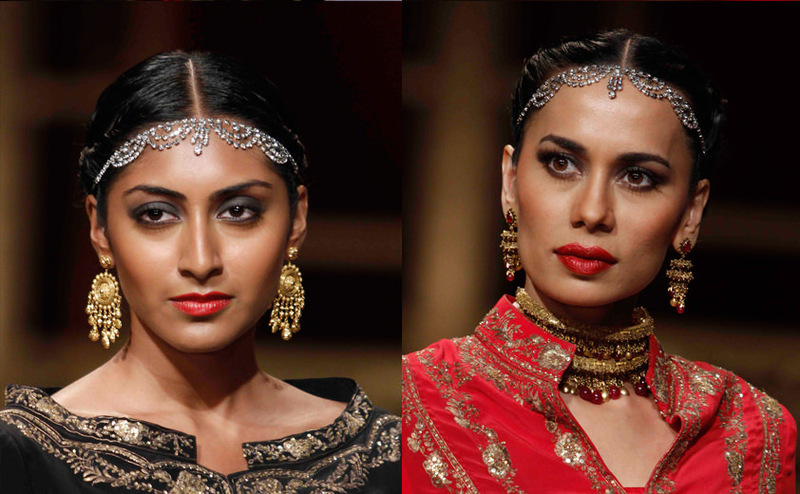 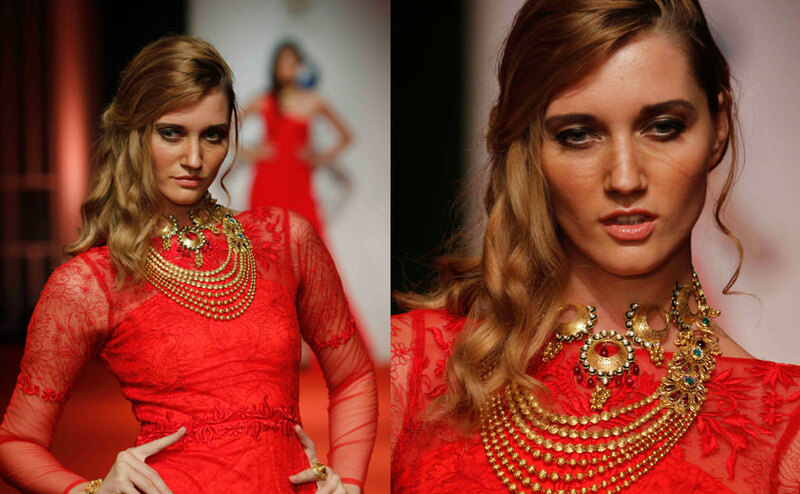 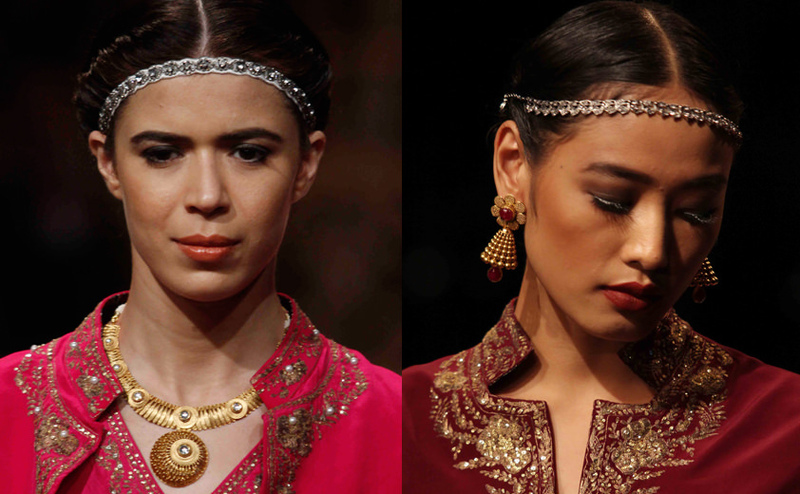 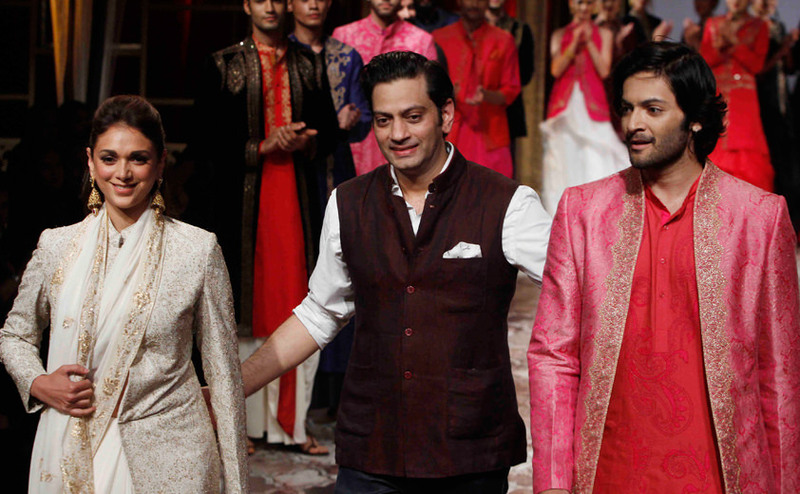 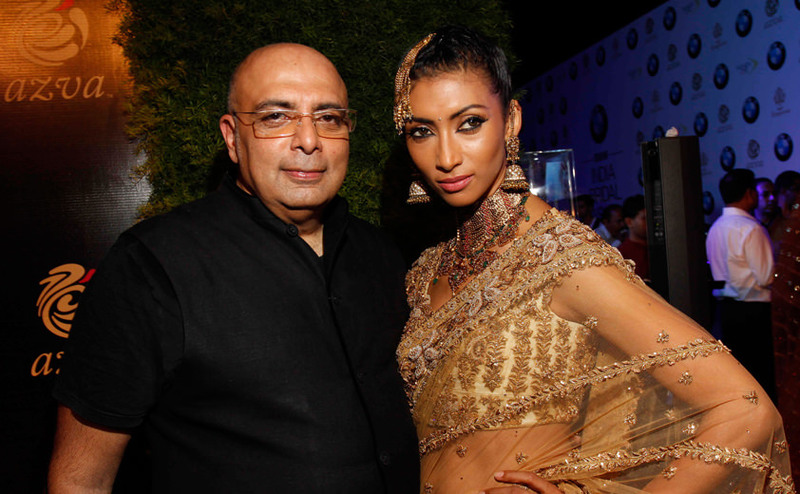 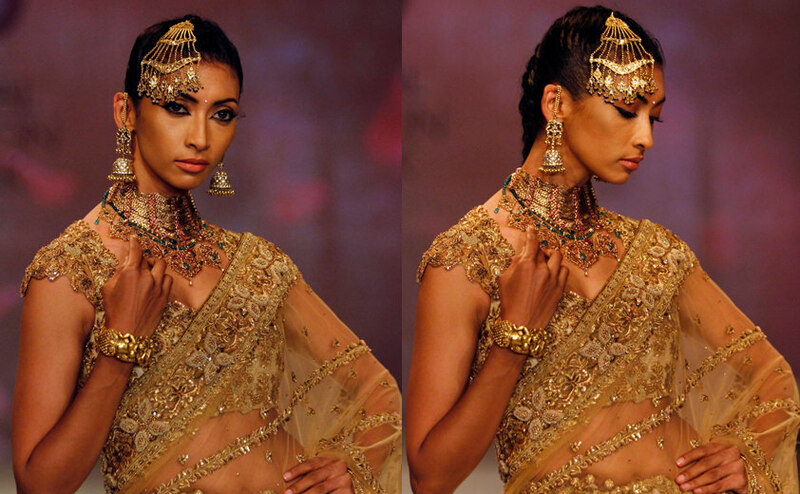 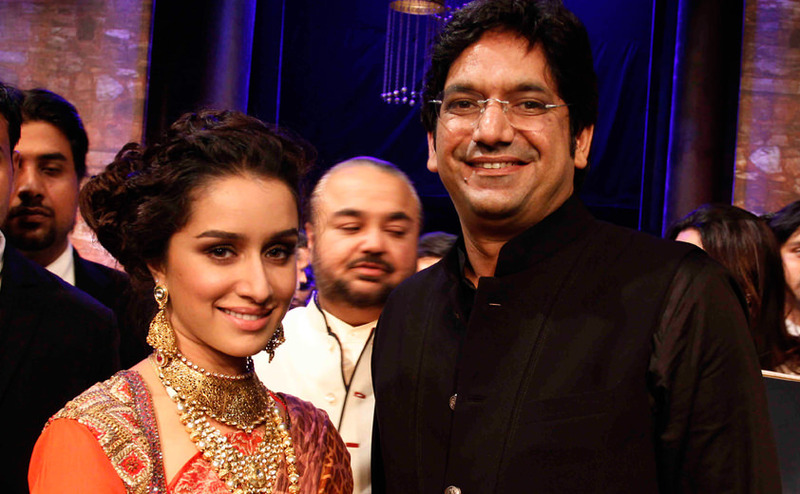 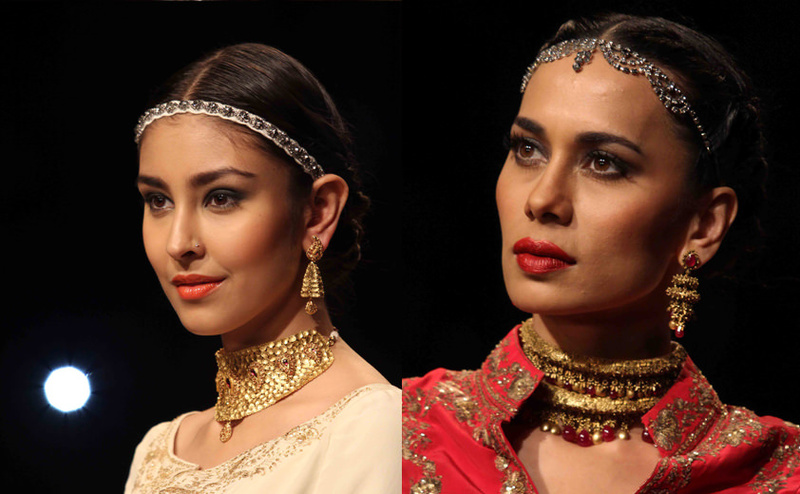 Azva show stopper were all drama with Tarun Tahiliani garments on the ramp. 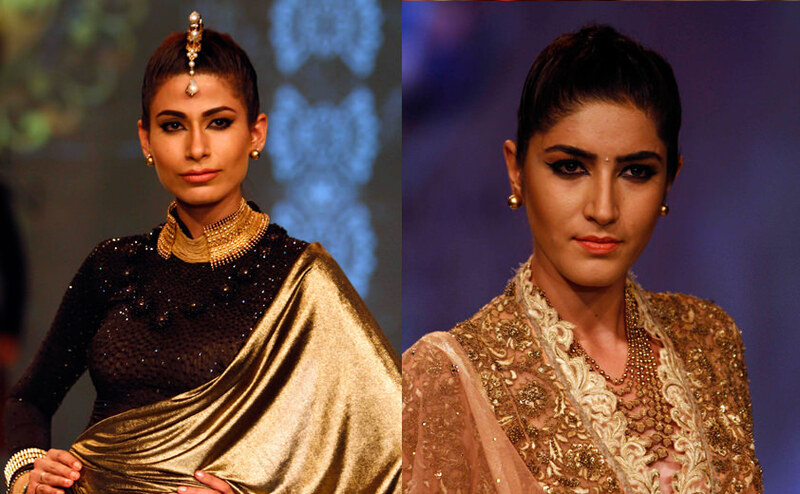 Nargis Fakhri, in a flamboyant black cape gown was styled with a stunning Azva neckpieces as she took to sizzling the ramp as a showstopper. 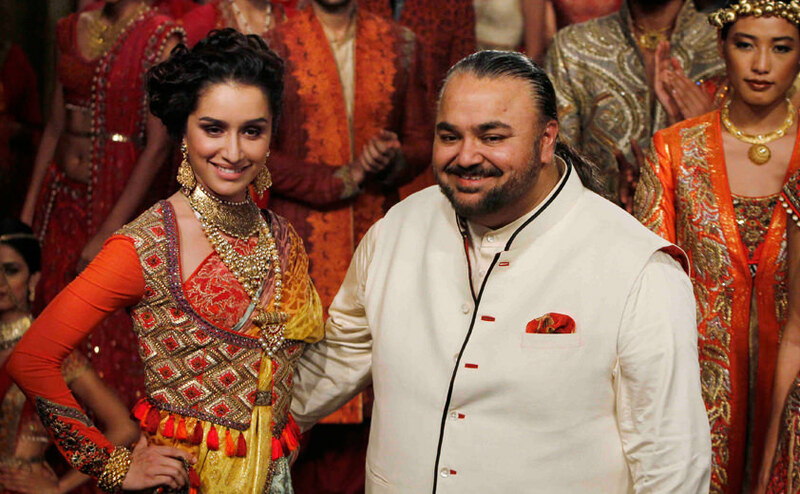 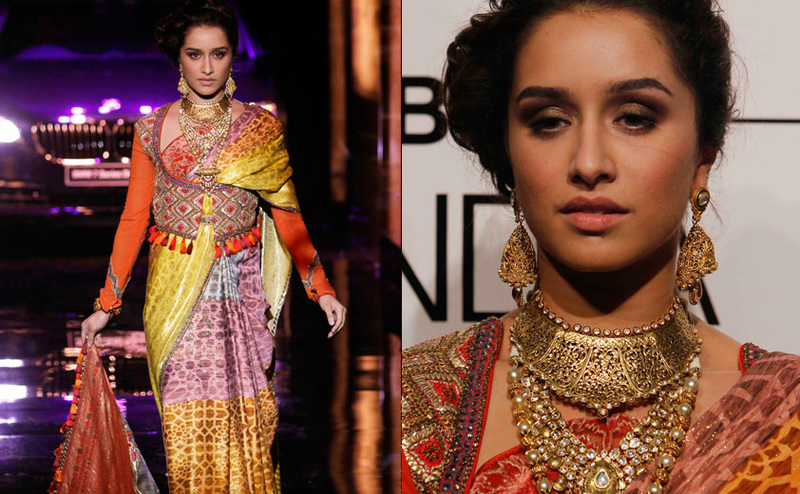 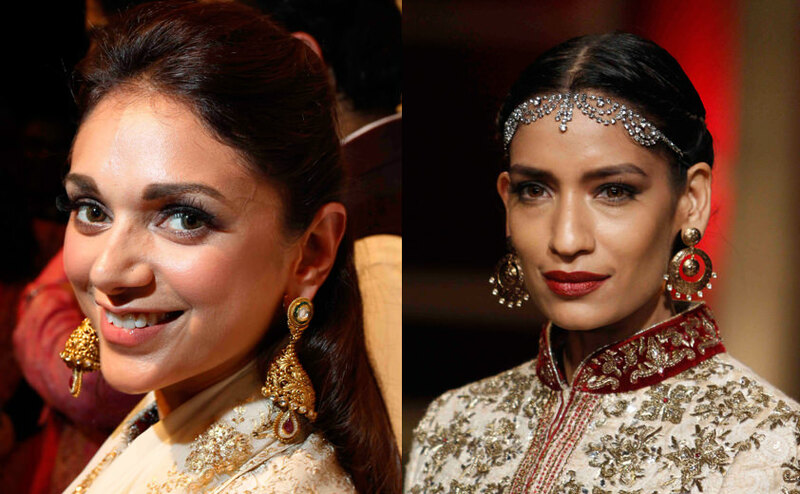 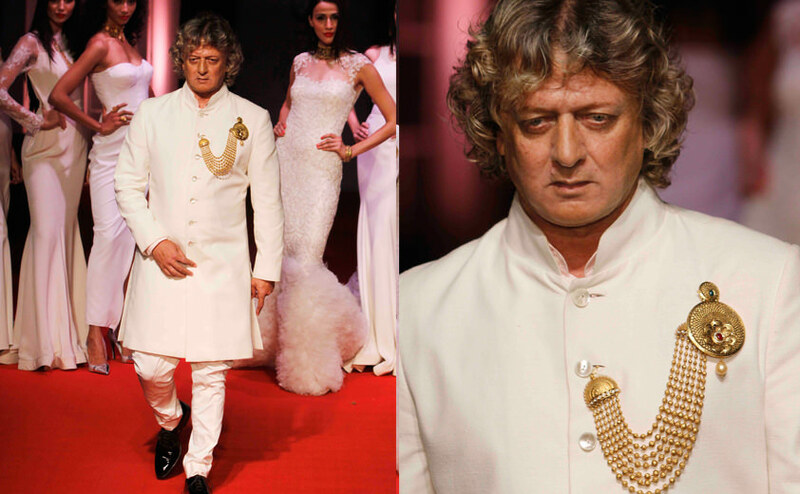 Rohit Bal too was refreshing burst of energy as the designer did an impromptu walk styled with an Azva necklace on his sherwani, proving that Azva gold jewellery is indeed versatile, something even the men shouldn't shy away from. 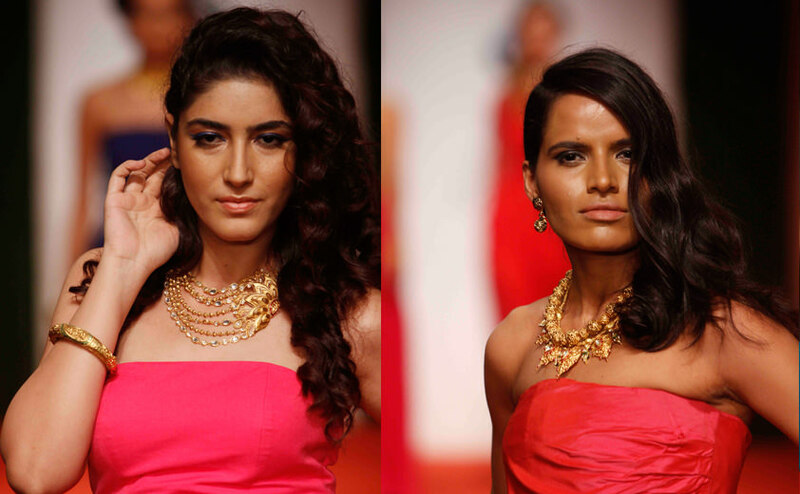 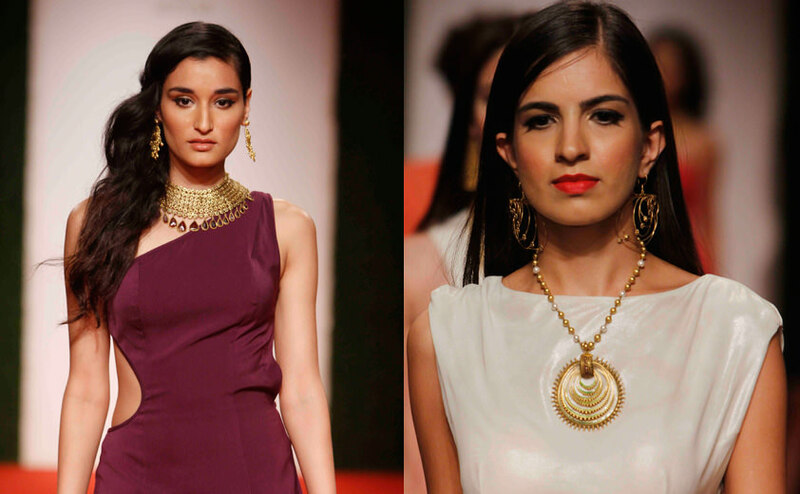 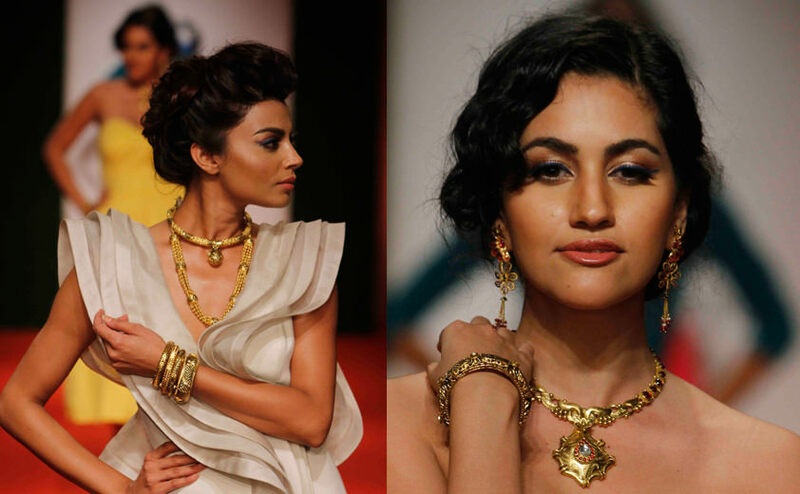 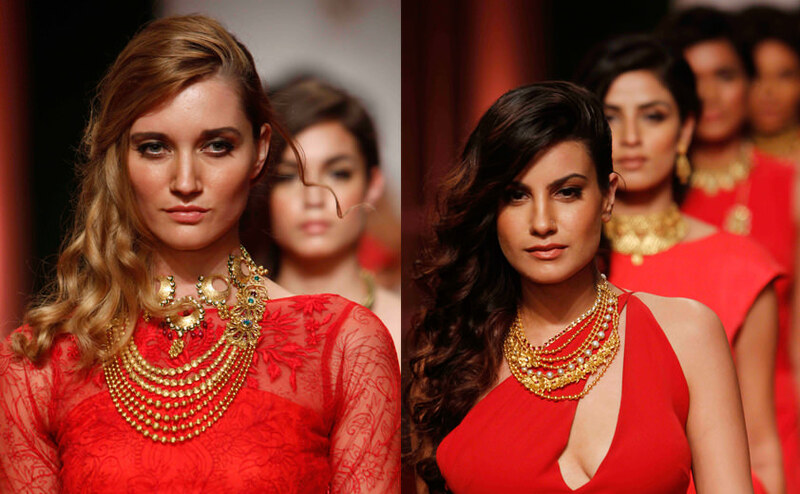 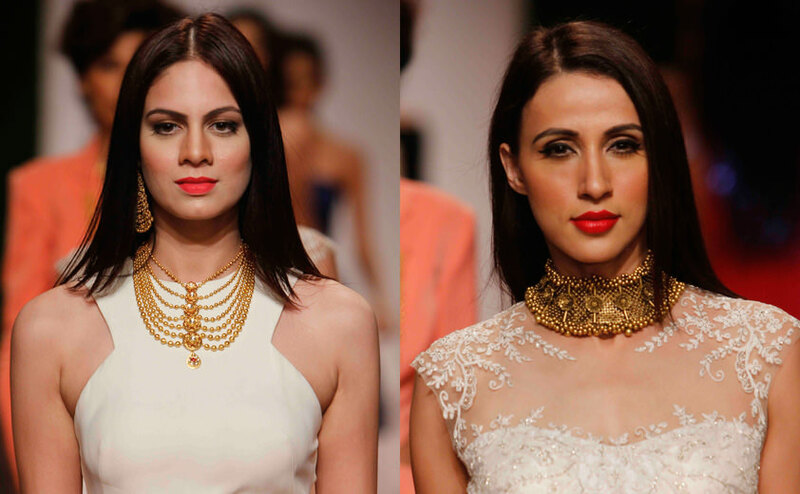 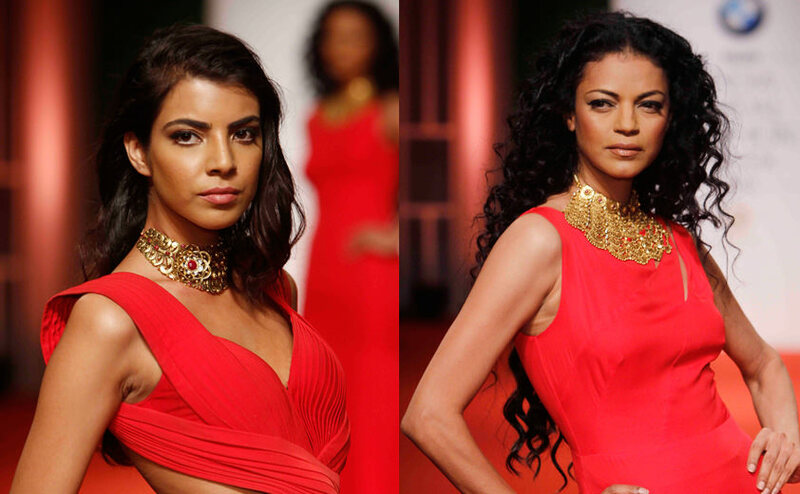 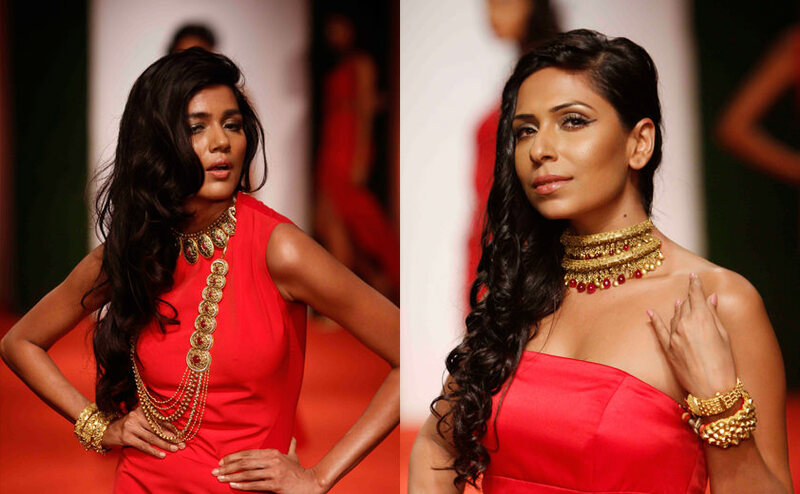 The IBFW ramp showcased the versatility of Azva gold jewellery, mixing it remarkably well with modern gowns and clean minimal silhouettes creating a quintessential Red carpet look. 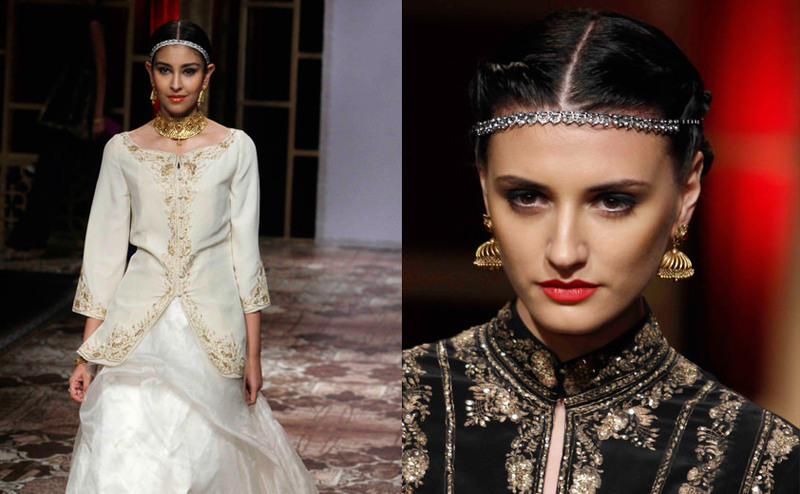 Designer Suneet Verma opted to pair his collection of sari gowns, regal velvet, breath taking embroidery and other timeless looks with stunning Azva contemporary pieces.